Wow… somehow I did it! 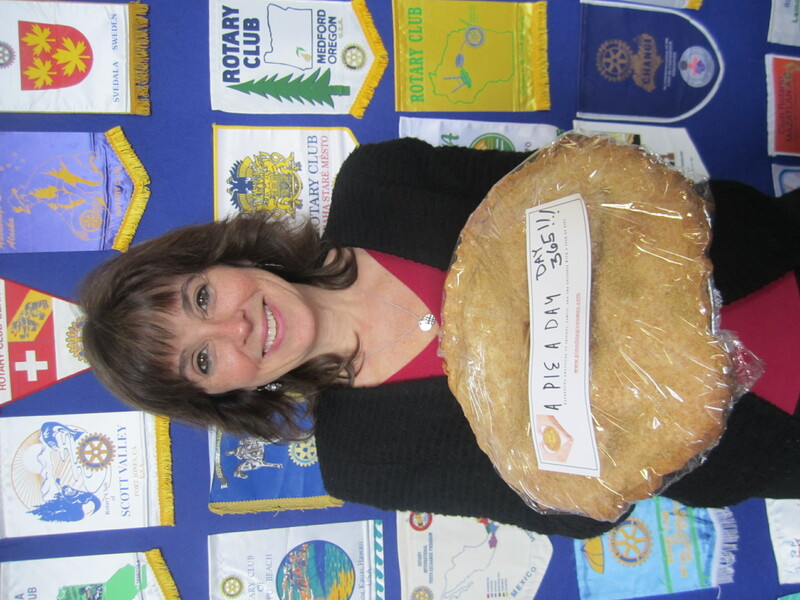 Eleven days ago, on April 7, I delivered my last pie for the year. 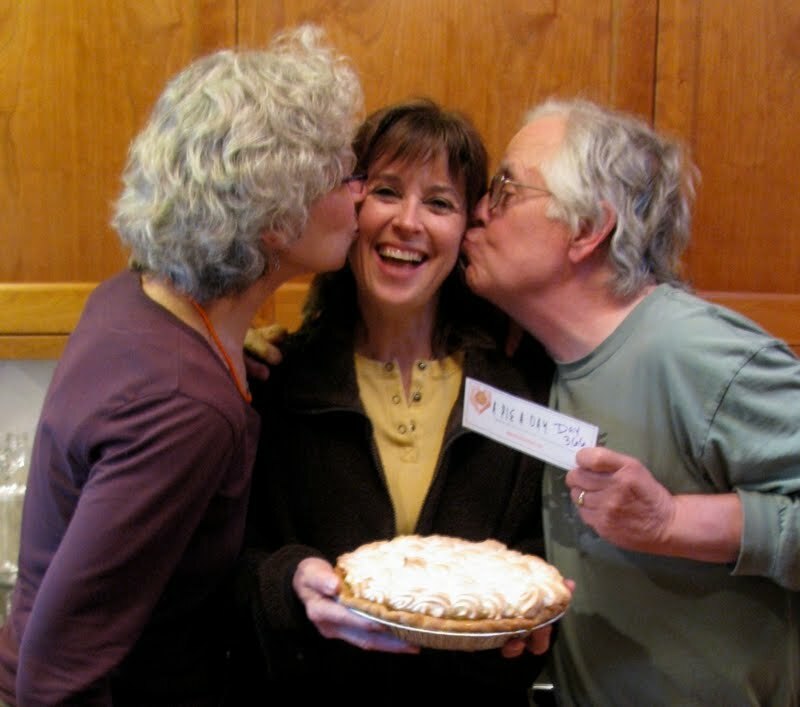 For those of you who have been following along, you know that that pie went to my neighbors, Armo and Deb – for their support and encouragement in this pie-making year. The very next day I prepared five quiches and an assortment of sweet breads for an Easter Brunch for a local church. Sunday morning I delivered the brunch items and then attended the Easter service at First Presbyterian with Vibeke, my daughter’s host mother from Denmark. After a quick lunch, we took off to the coast for a few days. The weather was tolerable, but the beach was magnificent as always. We walked and picked up pretty stones and then retired to the house that we’d rented. And after a lovely dinner, I went to bed. And slept for 12 hours! And I did that again the second night that we were there! One could surmise that this year of pie baking took a little bit of a toll. That was clear when we returned home and after dinner I sat down with my husband and my daughter and watched “The Colbert Report.” My husband turned to me and said, “It’s nice to have you back.” What he meant was that for the last year after dinner what I did was sit down at the computer and write a post. And sometimes it took a lot longer than I thought… Translated: I was not “here”at home at night for the last year… because I was writing. So tonight I want to thank my husband and my son and my daughter for their patience with me. I spent a year of my life giving pies (and my time) to other people and they took it all in stride. And for that I am so very grateful. My year of pies is finished… but I cannot stop myself from wanting to continue along with this project… with modifications. So while I cannot continue to give away a pie a day, I feel perfectly capable of giving away a pie a week, if only because it seems there is always a need to show love and gratitude. 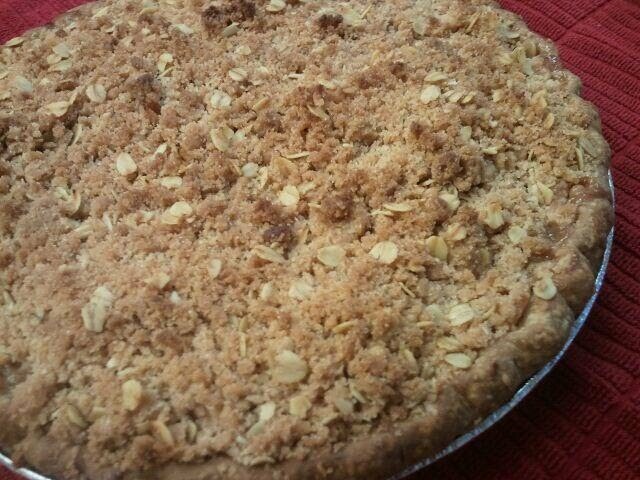 Last Saturday I brought a Dutch Apple Pie to a friend who had just lost her mother. A simple gift at a difficult time. It won’t fix anything at all, but it will make a difference. And that is the best we can hope for. Deb and Armo (Steve) and Pie 366! What a year this has been! So many wonderful stories to share; so many people who I have met. And so many pies! If I had to guess, I would say that almost a third of the pies that I made this year contained apples. 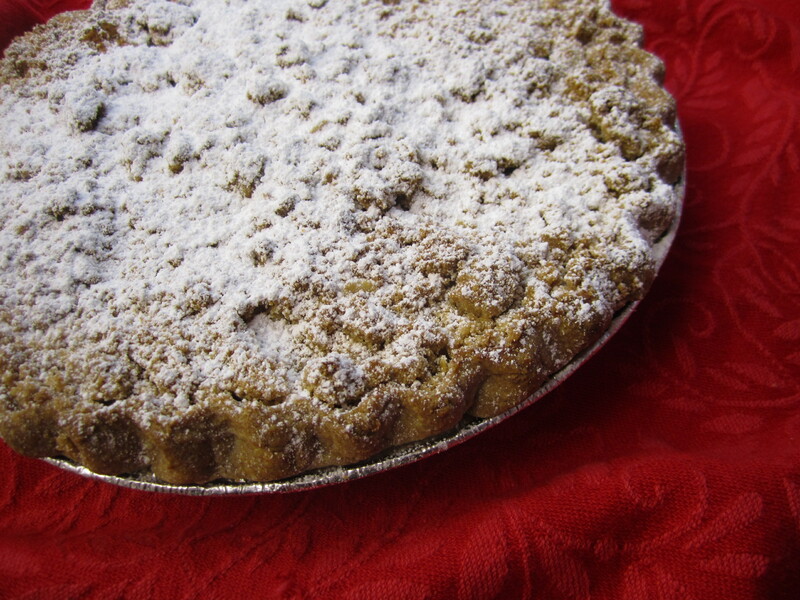 I love apple pies… and since apples are available all yearlong that made it easy to make apple pies frequently. 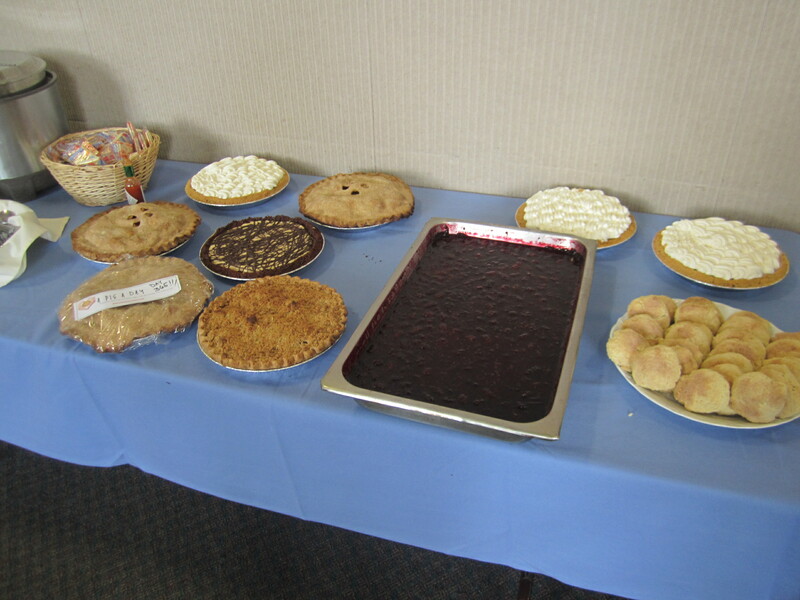 Other favorite pies included Strawberry-Rhubarb, Marionberry, Chocolate Cream Pie, and all kinds of Quiche. Today I made a Lemon Meringue pie for the second time this year. I love lemon curd… but I do not like working with meringues. Fortunately this pie was not traveling far; it only had to go the house next door. Deb and Steve have been our neighbors for seventeen years. Last year when I told them about my pie a day “idea”, Steve was thrilled. He wanted to do something to support my project from the start and initially suggested ordering boxes to deliver my pies in. It took a week or so before we finally decided that he would create labels for my pies instead (less waste to deal with and less costly!) And for the past year almost every pie that was delivered had a sticker that had my Pie a Day logo, this website address, and the day of the Pie year handwritten on it. So many people have told me that they have kept their “pie labels” as mementos. I am honored that they feel this way… and very thankful to Steve for supplying them to me for the past year. 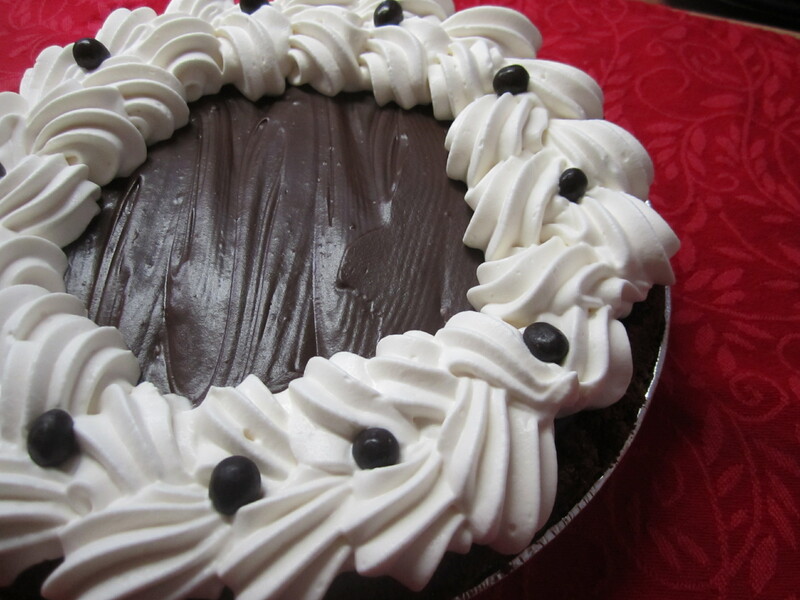 It has given this “pie” gifting experience an extra special touch… and I really appreciate that. Tonight I extend my sincerest thanks to everyone that followed this year of pies and sent comments or just made reading my blog a part of your routine. I am not ready to say goodbye forever… it seems that there are still so many stories to tell. But for a few days I might just sleep in a little. And if I could draw, I would create a picture of my oven exclaiming “Whew!” while wiping her brow. This has been a busy year for that old gal and she deserves a rest. One thing I would love to ask… and that is, if you have any comments that you would be willing to share (and haven’t yet) please do so. Also, if you have been inspired to do something out of gratitude, please share that as well. I’d love to keep the lines of communication open… if that is possible. Lastly, I send my thanks to everyone who welcomed me and my pies. Thank you for being open to receiving that gift… and thank you for sharing your stories with me. I have been so blessed to be a part of this wonderful adventure. When I started this journey, one year ago, I had no idea where it might take me. I really didn’t even think about how I would find 365 people to bring pies to! I just woke up with this idea… and had a friend (Thank you Debbie) who encouraged me to pursue it. And once the idea was set in motion, I never really thought of stopping. Certainly there were times when I wondered if this was the path that I should be on, but I never even considered ending the journey early. There are so many people who I met this year that I would never have met otherwise. Often, because I was willing to make a pie for someone in need, I became part of a greater story. I can’t help but think that each and every time we are willing to give of ourselves… or step outside of our comfort zones… that we have an opportunity to meet people who can show us a part of the world (or ourselves) that until then has remained hidden. This blog is called “Pie a Day Giveaway”, but I feel that I have been given an extraordinary gift time and time again. I wish that everyone could know the feeling that comes when you are able to make someone else feel better. It is overwhelming and wonderful all at once… and I think if you could bottle this feeling, you’d make a fortune. Instead, the treasures that you gather are unseen, but bring a sense of satisfaction just the same. Honestly, I’d have made a pie everyday just to get that one note. It really meant that much to me. Finally, tonight I bid you all sweet dreams… but not farewell… for this is a leap year after all! PS I was honored to be featured in the local paper today. You can see that article here. A few years ago, I took a class called “Emotional Intelligence” at Southern Oregon University. One week our assignment was to notice things that were happening around us and this is what I noticed, albeit a bit too late. I had taken my son, Coco, shopping with me and we had pushed our cart to the checkout line but there was a person ahead of us with a full cart and so I knew we had a bit of a wait. As I stood there my mind was racing and I realized I’d forgotten a few things. I told my son to stay in line and hurried off to get the last few items. It was only when I was back and it was nearly my turn to checkout when I “noticed” the woman in front of me. She was a young mother, her baby was crying, and there was some kind of trouble. Finally she became upset, said “Forget it”, picked up the baby, and left the store, leaving her groceries behind. I asked my son, “What just happened?” and he told me that the young mother had not had enough money to pay her bill. She wasn’t short much money, and she’d been dealing with a screaming baby, and maybe she was just a bit frustrated. And if I had been “present” I might have been able to help her. Instead, I was scurrying around being efficient. The memory of that moment still haunts me. Tonight I wanted to bring a pie to someone who needed a lift… and I had someone in mind, but I was unable to connect with them. So, as I have done before, I put the pie in the car with me and drove to the store (Shop n’ Kart) hoping to run into someone I could give a pie to. As I walked through the store I tried to be aware of who might need help. However, even though I searched, I did not find anyone and so I approached the register to pay for my groceries. Just then I felt a tap on my shoulder. There behind me was Adam, our new Associate Pastor. About six months ago I gave Adam and his wife Sarah a pie when they came to First Presbyterian. Since he knew about my project, I asked him if he knew of anyone who might appreciate a pie. He considered a few possible recipients and then mentioned a neighbor of his, a single parent, that was going through a challenging time. Perfect! I asked him if he would please deliver the pie to his neighbor with my good wishes and he agreed. Tonight he sent me an email saying that the parent looked so tired when they answered the door but was thrilled to receive the pie… and the children thought it was delicious. Adam finished his email this way, ” …glad I ran into you, I think it was the perfect family to be the recipient of one of your pies.” I think so too. Thank you Adam for your help in finding the perfect home for my pie. This year of pies is winding down fast! As I thought about that the other day, a person came to mind who I had not yet acknowledged for giving me some good advice about gifting a pie. That person probably didn’t even think much about the advice he gave at the time, but it has proven to be valuable on several occasions. One of those moments occurred last year when I baked a pie for a man named Dave who was recovering from a stroke and staying in an assisted living facility. Before I brought Dave the pie, I had an appointment to see Mark. During our preliminary chat I told Mark that I had made Dave a pie and then I told him that I was concerned about bringing Dave a pie as his diet might be regulated due to his condition. That’s when Mark told me, “Go with your intuition – you made Dave the pie, now just bring it to him. Don’t over analyze it! If Dave can’t eat it, he will give it away.” Simple words with a great message. After my appointment, I did bring Dave the pie. He was thrilled by the visit and the pie – which he did eat a little of before sharing it with the staff. Over the course of the year when my mind was fixed on a pie recipient, and then somehow I began to second guess my decision, I would think back to Mark’s advice and “just bring them the pie.” I was never disappointed with the outcome. Tonight I would like to thank Mark for helping me see the simplicity in the process of giving away pies. I would also like to recognize Mark for being such a good friend and mentor to my son, Coco. We are all so very grateful for his friendship and support. Last week, my friend Ginny asked me if I would consider bringing a pie to the woman who was the director of the Family Nurturing Center. Well, if Ginny recommended her, I knew I did not have to “consider” anything… it was a given: Mary-Curtis was going to get a pie! 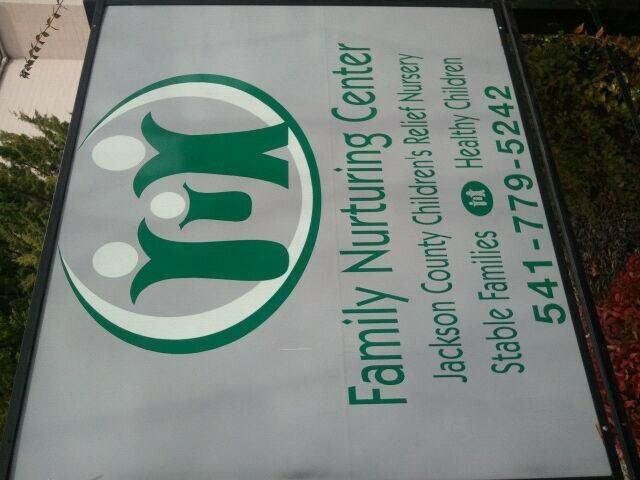 The Family Nurturing Center helps families that are below the poverty level (and who are facing myriad other challenges) to stay together. You can see Mary-Curtis here explaining how her agency helps those families in need. I had detected a lovely southern accent and asked Mary if she liked Pecan pies and she said that she did. And so today I made Mary-Curtis Gramley a Chocolate Pecan Pie… and I brought along a little whipped cream to serve with it. The work that she and her staff does is so very important… and I am grateful to her and her staff for all that they do to help families succeed. 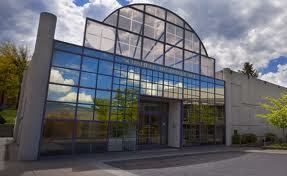 Today a fundraiser was held at the Schneider Museum of Art located on the campus of Southern Oregon University. Several months ago, I was asked to cater this event with a simple brunch menu of Asparagus Quiche, Fresh Fruit, Spinach Salad, and Date Nut Bread. At the time I was also was asked if I would donate a pie for one of the prizes at this event. 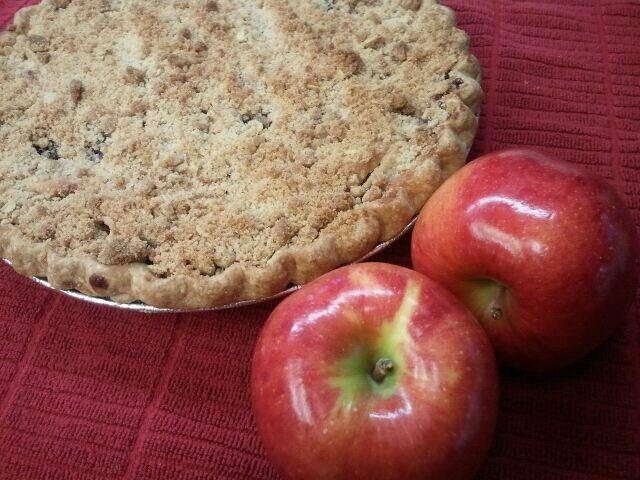 Since I could not have known who the pie recipient would be, I chose to make a very simple apple pie. 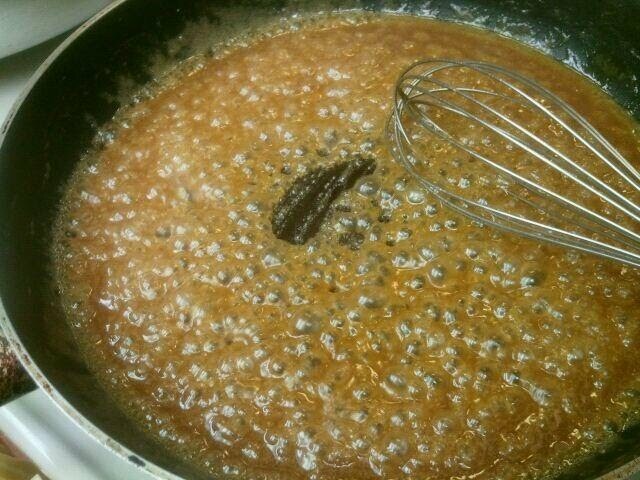 I chose to use the method of making the syrup first and pouring it over the apples before it baked, thus ensuring that the sugar, butter, and flour mixture were completely dissolved. It takes a few extra minutes, but I think the results are worth it. Later at the brunch, I was asked to pick a ticket from a bowl to select the pie recipient. Within moments, the name was called and the pie was given away. Afterwards, the woman who had won the pie came up to me and said that she wanted to gift the pie to someone special but she didn’t know yet who that might be. With the wisdom gained from giving away nearly a year of pies I told her, “Give yourself some time. The name will come… and then you will know.” It’s really as simple as that.